Spicaticribra kingstonii Johansen et al. Johansen, J., Kociolek, P. and Lowe, R. (2008) Spicaticribra kingstonii, gen. nov. et sp. 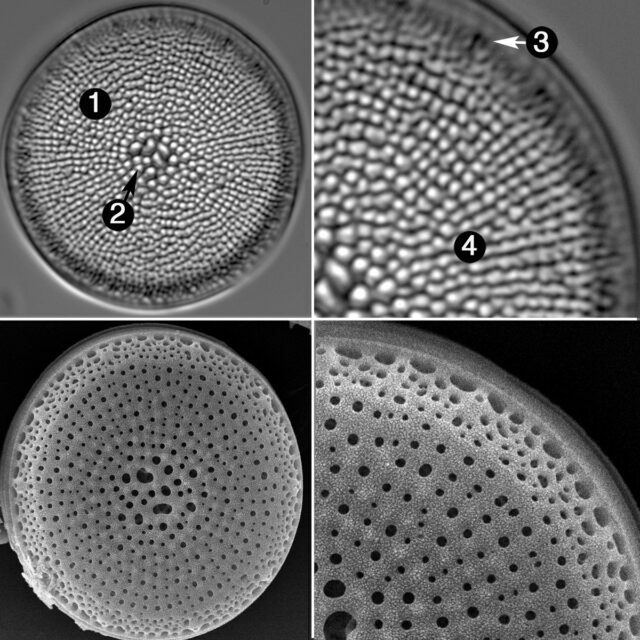 nov. (Thalassiosirales, Bacillariophyta) from Great Smoky Mountains National Park, U.S.A. Diatom Research 23(2): 367-375. Tuji, A., Leelahakriengkrai, P. and Peerapornpisal, Y. (2012) Distribution and phylogeny of Spicaticribra kingstonii-rudis species complex. Mem. Natl. Mus. Nat. Sci., Tokyo 48: 139-148.